Reacting strongly to the denial of information relating to pension by the postal authority, the Central Information Commissioner (CIC) passed an order asking explanation from the respondent authority under what legal authority they had directed the post offices to link their employer’s pension payments with Aadhaar. The order was passed by CIC Sridhar Acharyalu in N N Dhumane v. PIO, Department of Posts. In this matter, the appellant was a recipient of pension on the first of every month after her voluntary retirement. On being informed that her pension for March, 2017, was being withheld for want of Aadhaar linkage along with 55 other pensioners who were former employees of this public authority, she had filed two RTI applications seeking information on the order by which her pension was withheld for want of Aadhaar card and the names of 55 other persons whose pension was similarly held up. The Central Public Information Officer (CPIO) responded stating that there was no held-up pension, but only delay in crediting pension to their saving bank accounts. Further, he stated that the names of the persons whose pension were held up for want of Aadhaar linking could not be provided as it is information which relates to personal information, the disclosure of which has no relationship to any public activity or which would cause unwarranted invasion of the privacy of an individual, hence cannot be supplied. Dissatisfied with the refusal of information, the applicant appealed to the appellate authority. However, the appellate authority confirmed the order of CPIO, leading to further appeal before the CIC. The CIC held that pension is “a matter of life and living” of 55 pensioners who were totally dependent upon the paltry amount of pension and such information should be considered and categorised as the information concerning the life and should have been responded within 48 hours as mandated under Section 7 of the Right to Information Act, 2005. Quoting the landmark privacy judgment of the Supreme Court in Justice KS Puttaswamy (Retd) and Another v. Union of India, the CIC held that the postal authorities have a statutory duty to disclose full facts and circumstances along with reasons why they were linking Aadhaar with pension payment, why should they stop payment of pensions for the sake of such linking, why did they not provide for sufficient advanced information to the pensioners, whether such linking order has legal sanctity to be implemented without any advance notice etc. under Section 4(1)(c) and (d). “Because of the above orders of the Supreme Court against linking the Aadhaar with more than six categories mentioned, the Postal authorities are expected to explain under what legal authority they have directed the post offices to link their employer’s pension payments with the Aadhaar,” Sirdhar Acharyalu, the CIC, wondered. He directed the respondent authority to provide certified copies of circulars/orders by which pension of 55 employees was delayed referring to Aadhaar in the month of March 2017 along with names of all the pensioners whose pension was delayed. 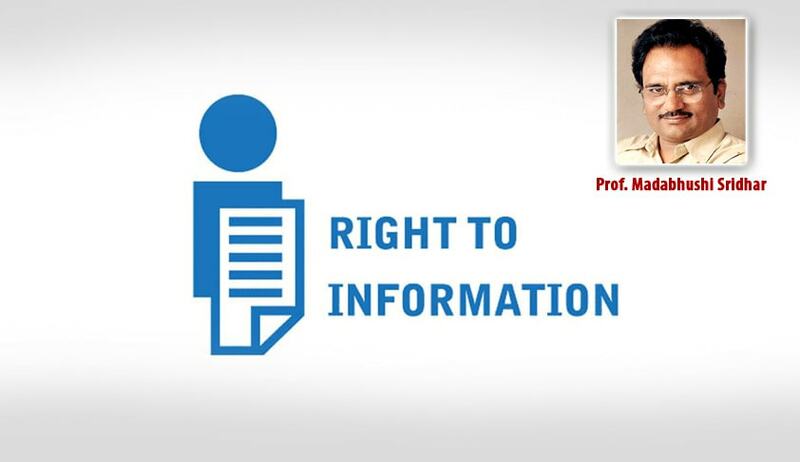 The CPIO was also asked to show-cause notice why it should not be imposed maximum penalty for refusal to supply information as per the RTI Act.